My name is Vish and I live in New Jersey with my family. After earning my graduate degree in computer science, I worked as a graphics designer and web developer in New York City. Then I had my kids and preferred staying at home to watch them grow. I captured their smiles, their tears, their moods and their tantrums in my heart and in my camera. Very soon my collection of digital pictures became huge and I realized that they were just lying in my computer and I hardly got a chance to enjoy them. My son’s birthday was near and I decided to do something exciting with those pictures. My experience in graphics combined with my love for photography helped me choose the right tools to create a video show, synchronize it to music and add special effects. It required a lot of patience and learning, but it was so worth it when I saw the results- my guests were so touched when I played it in the party! My acquaintances started requesting me to make similar shows with their family pictures. It was a wonderful feeling being a part of so many people's lives and making a difference. I chose to do this professionally when I was encouraged by my husband and my friends who could see the passion in my work. And that is how Smiling Snaps was born! 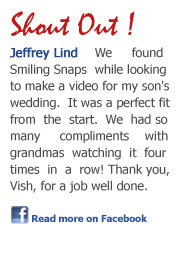 Today, Smiling Snaps Productions is amongst the nation’s top Custom DVD Slideshow companies. My team and I have created hundreds of slideshows for events ranging from Weddings, Birthdays, Anniversaries, Memorials and more. We continue to deliver the highest quality service at the best possible price. 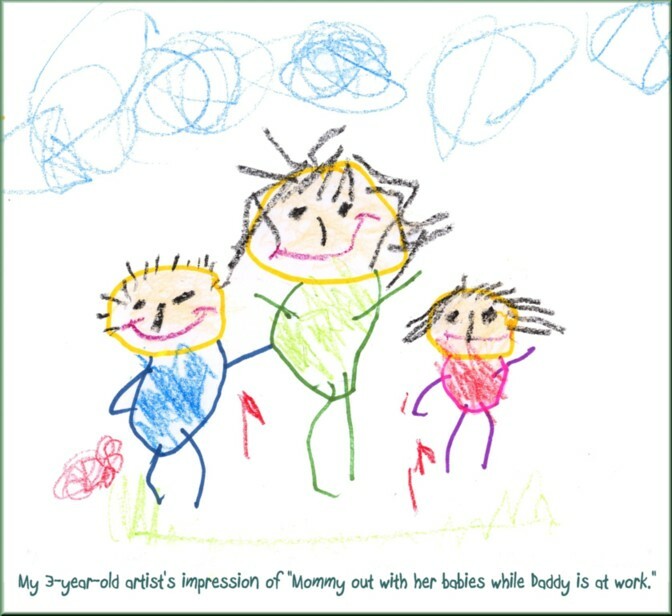 I understand that every client is precious and therefore to be treated like family! Thanks a ton for taking the time to read about me and I hope you give me a chance to make a lovely creation for you too. P.S. If you would like to be informed of special offers and deals that I run occasionally or if you have any comments/suggestions about my services, please fill up the Keep-in-Touch Form! And, don't forget to Like my Facebook page!